Thanks for visiting Vision London! 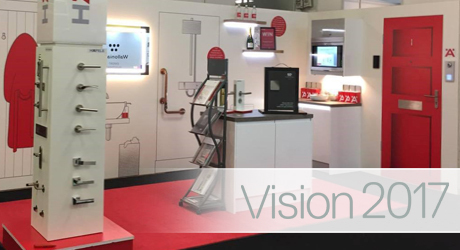 Vision London took place over 2 days, 6-7th June, at Olympia in West London. 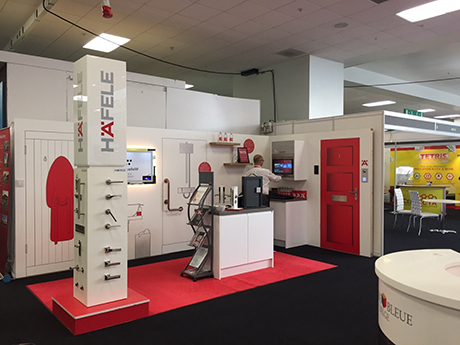 This year the theme was technology, with exhibitors challenged to showcase up and coming technology, gadgetry and all-important Smart Home solutions, to delegates from a number of industries, including house-builders, architects and manufacturers. The stand was manned by our estimating team, who are responsible for providing best-in-class project support for large scale projects. Find out more about Projects here. This year, alongside a selection of hardware and door furniture, we showcased a range of technological products, including the Gira Entry system, Enet, Loox Bluetooth Mirror and Hubit Smart television. David Edwards, Business Development Manager at Gira UK, delivered a highly anticipated seminar on “Professional Intelligent Smart Home Solutions”, taking attendees on a journey through selecting a professional Smart Home system, Specifying the features and functions you need and seeing how a professional Smart Home enhances energy efficiency.